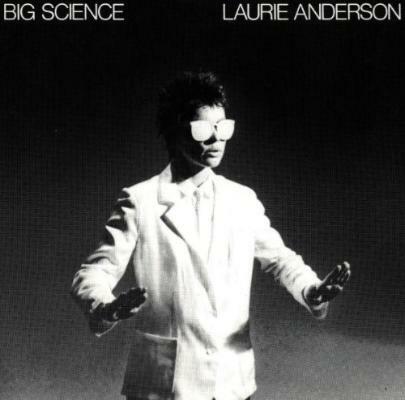 Laurie Anderson, for me, is one of the most important and influential artists from the New York scene, both on the musical side and visual arts as well. She's a real innovator and opened the doors for sound processing on acoustic instruments, such as the violin she plays. But she was also the first to work on vocal processing. If you have so many people using the vocoder these days, it's because of someone like Laurie. She really worked on what it is to be able to change your voice as a robot, or a girl into a man or a grown woman into a baby. What does this all mean, this emotional feeling that one can carry? It's all attitudes. She's a poet and a fantastic performer. She's a complete artist and obviously carries a big commission, but she deserves more because she's constantly a huge source of inspiration. Even though she hasn't done so much in the past few years, when she was married to Lou Reed, he took care of the music part and Laurie was more focused on visuals. I think that the track we did together, 'Rely On Me', is interesting in different ways. The fact Laurie had the desire to reconnect with the music scene and because this album is linked with technology, I had this idea of creating a dark love song.